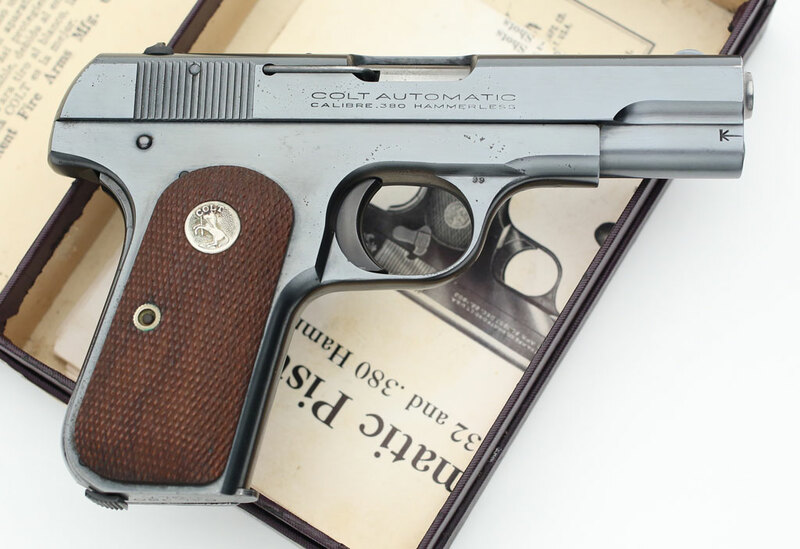 Colt Pocket Hammerless 1908 .380 ACP serial number 134212 G.H.D. 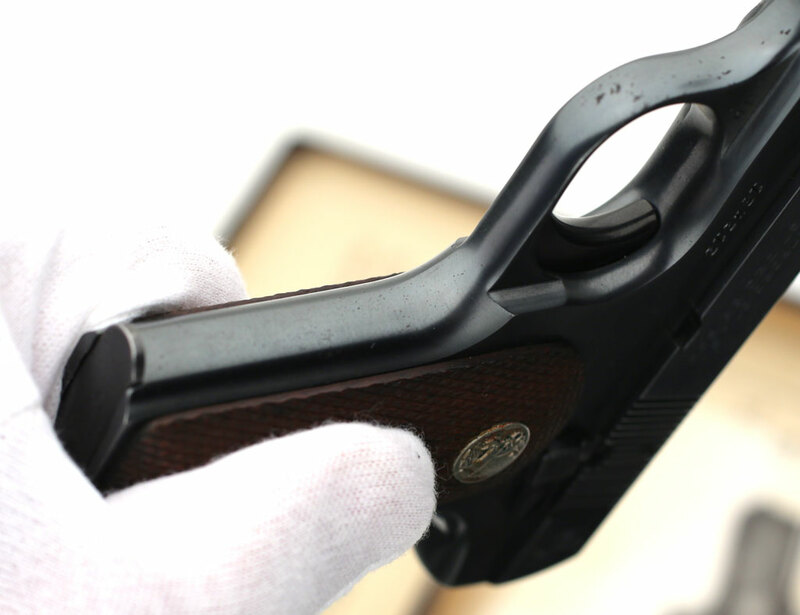 Inspected - Colt Factory Letter confirms that this gun was one of 18 shipped on March 1, 1943 to "officer in charge, Hartford sub-office, Springfield Ordnance District for Major Starbuck." It was processed on Colt Factory Order # 2973. 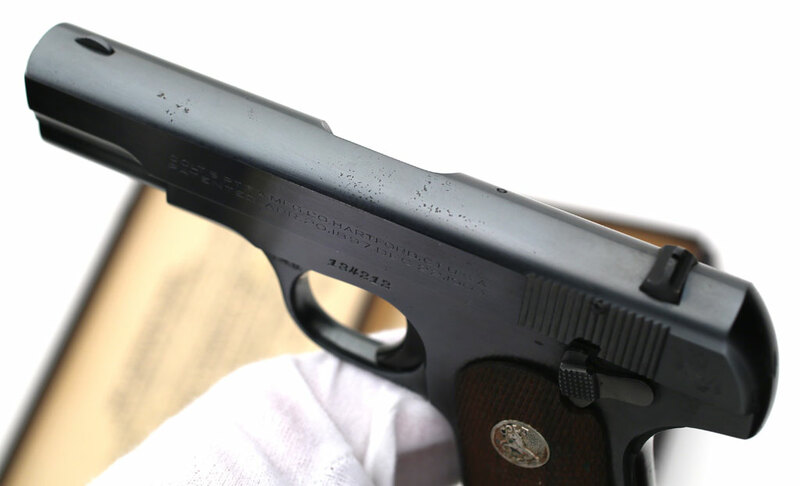 It was in the same shipment as Colt 1908 Pocket Hammerless .380 ACP serial number 134767. Colt Pocket Hammerless 1908 .380 ACP serial number 134212 G.H.D. 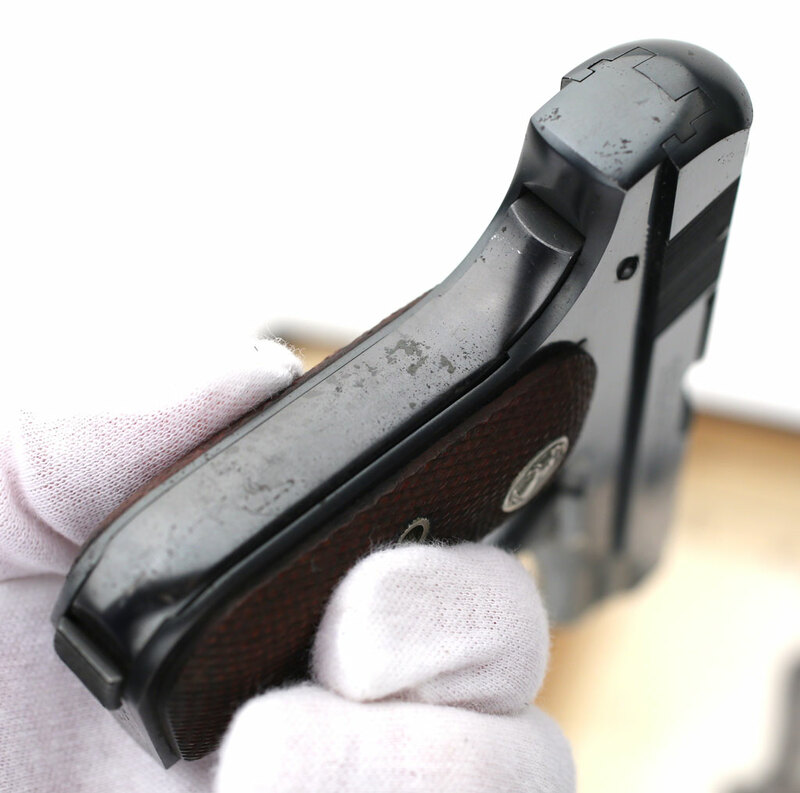 Inspected -pictured with its original commercial box numbered to the gun. 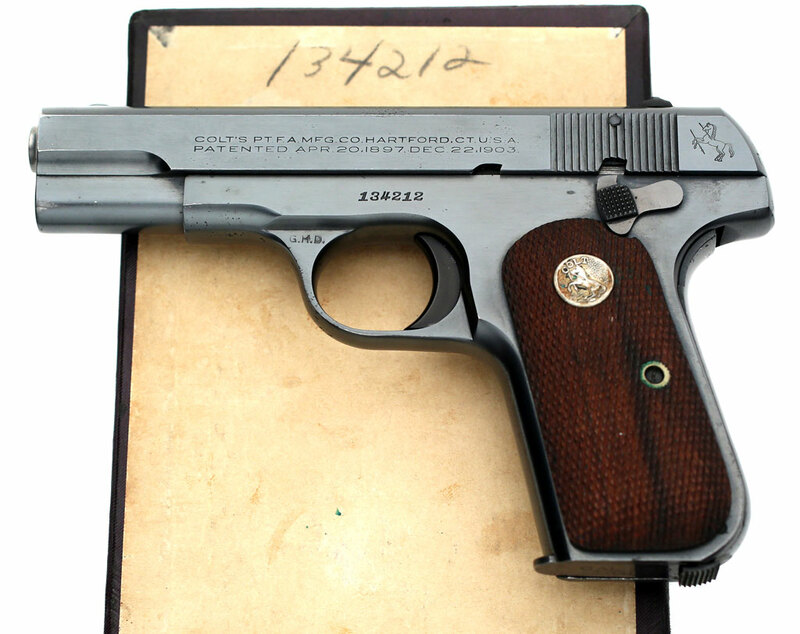 Colt Pocket Hammerless 1908 .380 ACP serial number 134212 G.H.D. 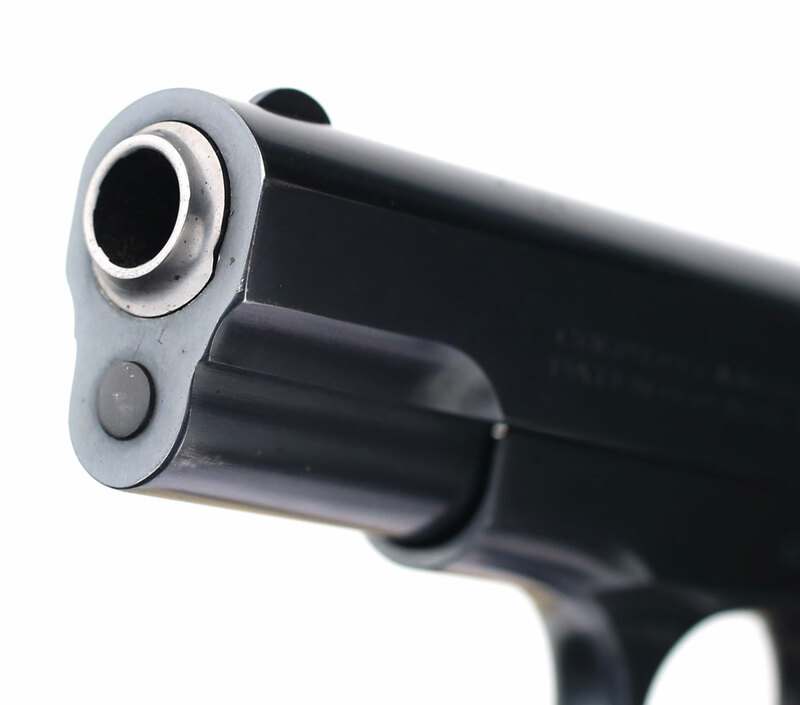 Inspected - Right side of pistol. 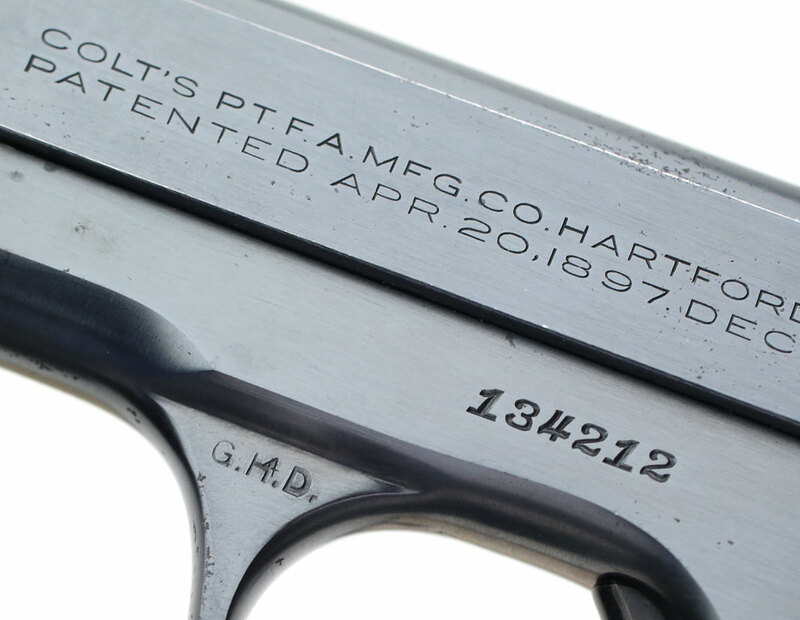 Note the lack of the "U.S. PROPERTY" marking on the right side of the frame as this was shipped pre-Government Contract and was part of the early blanket procured Colt pistol shipments in 1943. Colt Pocket Hammerless 1908 .380 ACP serial number 134212 G.H.D. Inspected - top of slide. 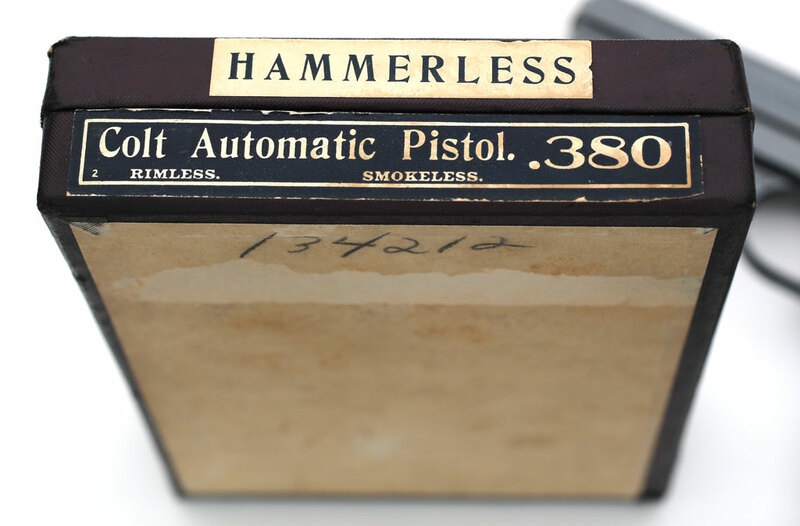 Colt Pocket Hammerless 1908 .380 ACP serial number 134212 G.H.D. Inspected - Close-up of G.H.D. - notice the factory error of how the VP was missed on the trigger guard flat. Colt Pocket Hammerless 1908 .380 ACP serial number 134212 G.H.D. Inspected - Front grip strap. Colt Pocket Hammerless 1908 .380 ACP serial number 134212 G.H.D. Inspected - Grip safety. 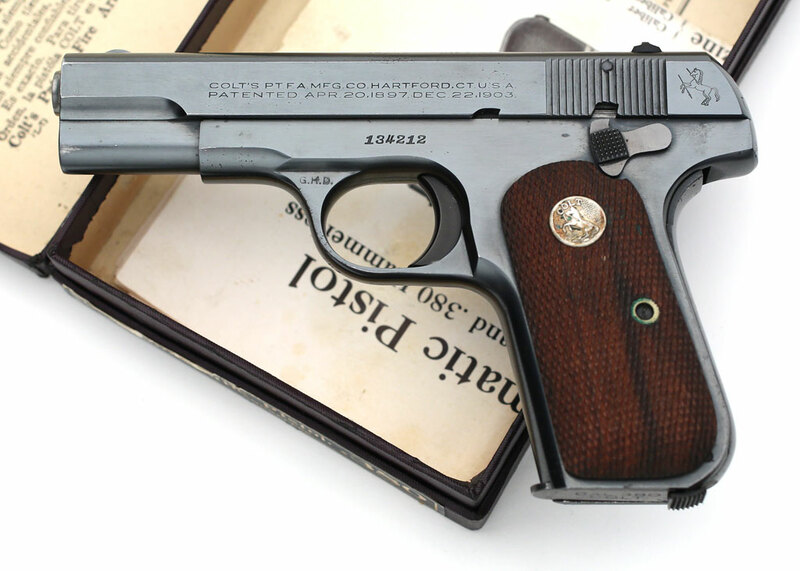 Colt Pocket Hammerless 1908 .380 ACP serial number 134212 G.H.D. Inspected - Muzzle.